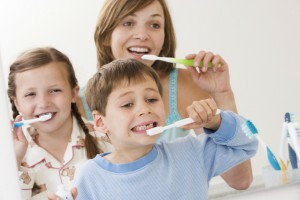 At Denuvo dental we want your child’s teeth to have the very best start in life. For this reason, we strongly recommend our child care plan. Not only do we provide the care and treatment that your child needs but we motivate and educate your children from a very young age to appreciate and value their teeth for life. As we are all very aware, once we lose our ‘baby’ teeth, we only get one more chance to have a good healthy set of teeth that will last us a lifetime! This is why, at Denuvo Dental, we feel it is so important to encourage children from an early age to brush properly and regularly and to control their diet so that problems do not develop. Our comprehensive plans ensure that you are providing the best possible start for your child’s teeth. All babies and toddlers under the age of 3, attending with a parent registered at the practice, will receive exams and treatment free of charge. Diet advise and Oral Hygiene advice, supported with information sheets. Alternative fee per item arrangements are available for children and can be discussed on an individual basis when the parents attend for examination.